3 Surely He shall deliver you from the snare of the fowler[a] And from the perilous pestilence. The joy is mine in sharing these songs. I am blessed in also knowing that they have blessed others like you. The LORD be with you. Dear Esther, first I want to thank you for posting such beautiful music online. God really gifted you. It comes at a time in my life that I really want to put my trust in God, to conquer my fears. I would like to sing this song in my church, therefore I'm happy with the music. Do you also have the music for the piano? Hello and may God bless you! 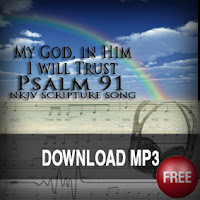 In prayer and worship to God this morning, I came across this music to worship to. God has given my 10 year old daughter a gift in singing. God showed me that I am to use this music for her to learn and read and her 18 year old sister to dance to it. I am so blessed to have come across this and would like to use this in my homeschooling scripture memorization! I can't seem to print out the music sheet. Would you mind helping me get these printed out please? This is perfect for all 5 of my children that are still home with me! Thank you very much! Hi Christina, try right-clicking on the lead sheet...you can choose to "save as" or "print". 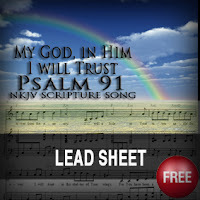 I di the rich click on the lead sheet for Psalm 91 which works great, however the last line of each page is cutoff. could you provide any insight on how to get the entire song in a complete PDF? Thank you for your wonderful witness putting God's gift of music to you to such Glory for Him. 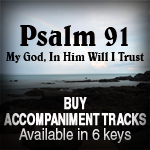 We will be using our Psalm 91 song for an upcoming ACTS retreat at our parish. 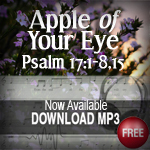 Praise be to God for this beautiful music. It is so pure and lovely, you have anointed voice and your interpretation of the Scriptures is done well in song and music. Be blessed. You have a very beautiful voice. I like your interpretation of the Scriptures in song and music. May God continue to bless you. G-d bless you Esther. and all the people who are around you. 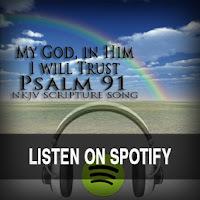 Posting Psalm 91 and Hearing your beautiful soprano voice is a real spiritual medication! 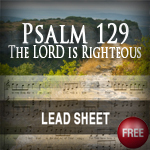 This Psalm 91 came to me 3 times by the Lord during the civil war in Lebanon 1976-1977. I sae handwork of the Almighty, I heard His voicr, and I saw the reward of the wicked, and the end His Salvation! This Psalm 91 trumbles me! Because every single word applies to me and my situation. This precious Psalm 91 never leaves me! I am so blessed with it, and by the protection if the Lord. May the Lord very richly bless you all and the New Yesr. I pray Amen.